The Eleventh Circuit held in Spaho v. Att’y Gen., 837 F.3d 1172 (11th Cir. 2016), that Sale and Possession with Intent to Sell do involve “unlawful trading or dealing” and therefore convictions for Sale of Controlled Substances and Possession with Intent to Sell Controlled Substances are aggravated felonies if they are pled to with specificity. If the record of conviction contains any of the other elements (Manufacture, Deliver, Possession with Intent to Manufacture, or Possession with Intent to Deliver), then the conviction cannot serve as an aggravated felony because the immigration judge must presume that the person was convicted under the least culpable conduct or element, even if the police report clearly shows the person made a sale for money. In fact, in Gordon, the Information (charging document) stated that Mr. Gordon did “unlawfully sell or deliver, for monetary consideration, a controlled substance.” The Court held that the words “for monetary consideration” were irrelevant and superfluous because they are not part of the elements required in the statute and the person’s actual conduct is irrelevant. The Court simply disregarded those three words and found that Mr. Gordon could have been convicted of unlawfully delivering a controlled substance, which does not require commercial trading. 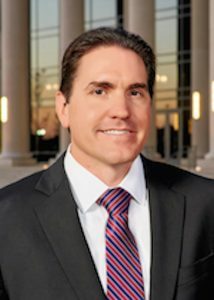 So, it is critical that a criminal defense attorney understand how to ensure that a client is not pleading to an Aggravated Felony simply by not including elements in the Information and record of conviction, or by making admissions in the record of conviction that would be sufficient to support a finding of commercial trade. For example, if a defense attorney incorporated the police report into the record of conviction by stating that there is no objection to the facts in the police report establishing the factual basis for the plea. Finally, it should be noted that even though a Sale or Delivery of a Controlled Substance may not be an Aggravated Felony, it still could form the basis for deportation as a Controlled Substance conviction or a Crime Involving Moral Turpitude. The Eleventh Circuit specifically did not address whether Mr. Gordon’s conviction was a crime involving moral turpitude because the lower court (Board of Immigration Appeals) did not address that issue.